A huge Stena ro/pax inters the river. Some aerial views from my balcony on the 15th floor of Hotel Neptun situated more than less directly on the beach of wonderful “Seebad” Warnemünde – one of my favourite photo locations. I had of course booked a room overlooking the mouth of Warnow, when I stayed there last weekend. 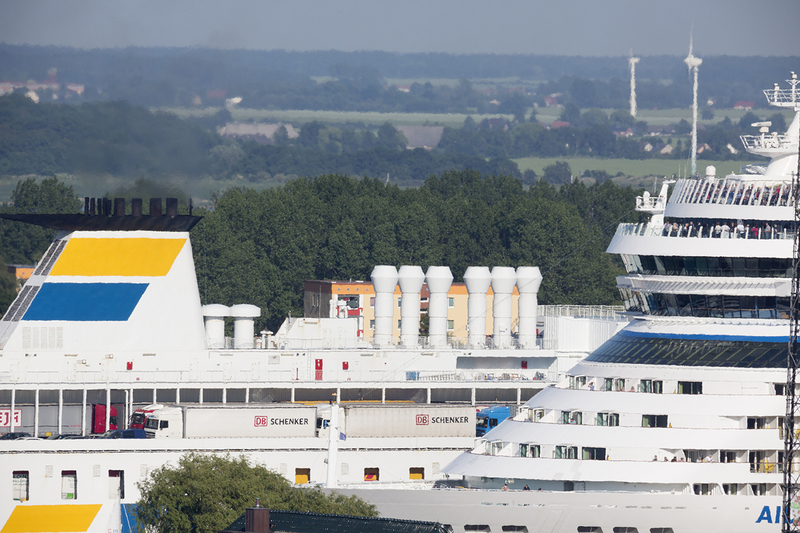 The main reason to go there was to photograph a series of Scandlines’ new hybrid ferry BERLIN. More on that in a later post! Here some other movements on the busy fairway!